Buying the perfect commercial office furniture is a bigger and more crucial undertaking than most people seem to realize. Regardless of what kind of space you’re populating, be it a school setting, a contact center, a busy office, or a space with mixed use, you need to know for sure that you’re making the right furniture for it. Poor choices in what kind of furniture you get and the layout you decide on are difficult and expensive to fix, so you can find yourself dealing with them for years. The problem with this is that it can inhibit people working and studying in that space, causing them to be less productive. Because of this, Interior Concepts understands that you’re dealing with very high stakes when deciding on what kind of office furniture to get, as well as whom to purchase it from. Interior Concepts has been specializing in custom commercial office furniture layouts for over 20 years, and in that time we have successfully created thousands of school furniture projects, over 3,000 contact centers, and thousands of office furniture layouts – all of these projects tailored to our clients’ needs. So, aside from our hands-on experience, why would you choose to work with Interior Concepts? One reason is our innovative ImagineIT! Design Sessions. With one of these sessions, you not only get to find out what kind of furnishings we can provide for your space, but we produce a 3D Virtual Model for you. This shows you the space you’re working with, and the furniture that you have chosen in that space. This is vital to the designing process, because it makes sure that you are seeing a realistic representation of what your room will become. This makes sure that you are going to like the aesthetics of the space once the project is finished, but it also ensures the best use of your space. Finally, it ensures that everyone knows exactly what is going to happen, which allows for a smooth installation. And of course, with a smooth installation, you can start using the space as soon as possible. Interior Concepts prides itself on outstanding quality. 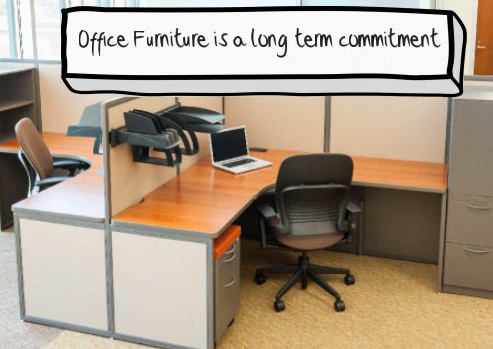 We craft our office furniture with durability and ease of use in mind, so it will look and feel like-new for years. Also, our product is produced in the USA, which is why we can provide each of our valuable clients with a lifetime warranty. Finally, we here at Interior Concepts care about the environment, so all our furniture is Certified MAS Green. These are just some of the reasons why Interior Concepts is the perfect school or office furniture solution for your space. Be sure to request a quote right away so we can serve you!